Welcome to the Barcellos & Kane Online Payment Portal. We created this online payment portal to make the bill payment process easier for our customers. If you have any questions, use the contact information below to get in touch with us. Please enter the Invoice Number from your invoice. If you need help finding your Invoice number, please click here for an example. If you dont have an invoice number, or have other questions, please contact our billing office. 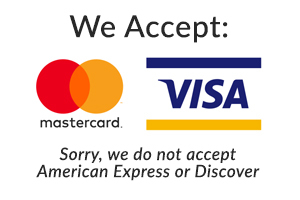 Please Note: Our Payment Processing System does not accept payments over $5,000. if your invoice is over this amount, Please submit a Check or Money Order. Thank you. This is a sample of a typical invoice we send out. 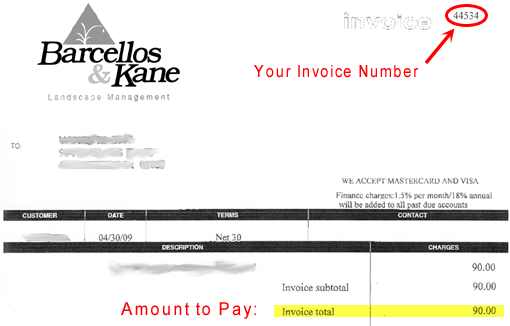 We have highlighted the invoice Number and Payment amount in Red.